Based on the mobile RPG game Legacy of the Beast comes this collectable trading pin set. Featuring Pharaoh Eddie and Goddess Aset, this pin set includes 2 pins with backings. 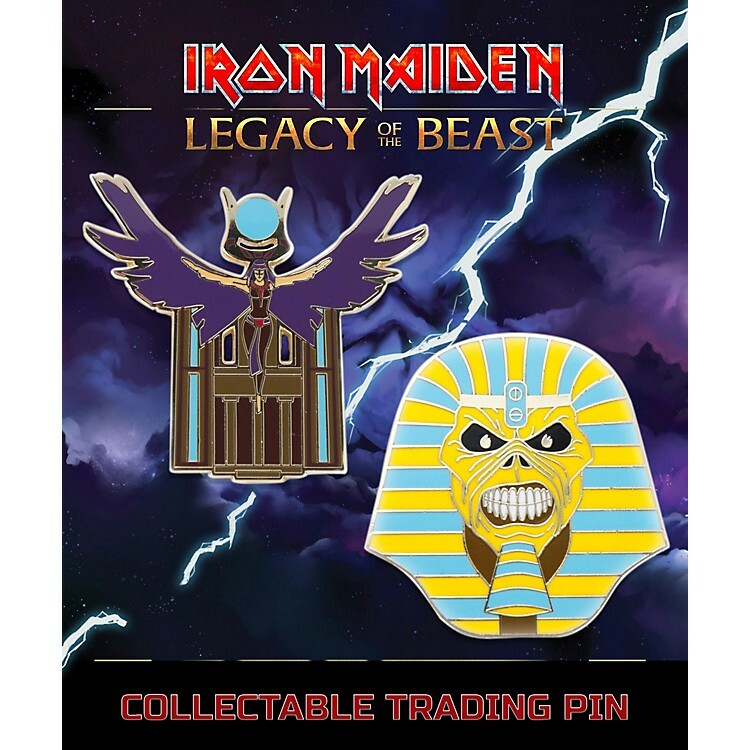 This Iron Maiden Legacy of the Beast Set 2 Pharaoh and Aset Lapel Pin 2-Pack comes packaged on a card back and each pin measures about 2-inches tall. Ages 15 and up.